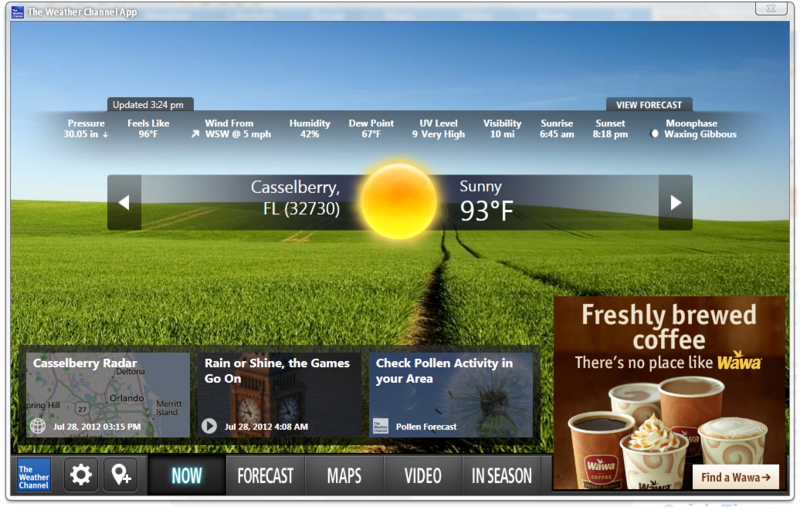 The Weather Channel App (Windows) ~ Android Forever! When you want to get an attractive and informative view of the weather without having to actually go outside, this Windows app is a good way to do it. If you don't mind the ads, bringing up the pretty interface right from your system tray will give you all the information you need about current conditions or forecasts.